Mensusa https://www.mensusa.com/articles/belvedere-tennis-shoes-casual-footwear.html Belvedere Tennis Shoes- Casual Footwear That Can Never Ever Be Paralleled In Its Exoticness Belvedere tennis shoes come as the most delightful footwear for the casual dressing needs. 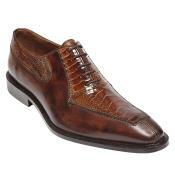 www.mensusa.com would delight you with its portfolio of classy belvedere shoes. It is often said that your sense of dressing is judged by the exoticness of your shoes. The statement Is not the slightest of the exaggeration as the shoes are the most important fashion accessories that also serves the maximum of utility. Hence, to appear fashionable, you require comfortable shoes that would complement your dressing needs and offer your convenience of movement. Going deeper into the perspective of dressing needs, you would majorly have two different aspects of which one is the formal dressing and the other is the informal one. Both these needs are exclusive and it accordingly requires specific themes of attires and shoes. To start the discussion on the topic with the point of the casual dressing needs, the fashionable men of concurrent times are most familiar with the belvedere tennis shoes that stand matchless upon its features. These shoes are purely designed to serve your casual and informal dressing needs and it serves wearing across scopes like the business casual days, travelling, attending casual parties and even while you attend any informal special occasions. To complement the lighter moods that prevail over the ambiance of the informal events, these shoes offer you the maximum comfort to sooth your moods. 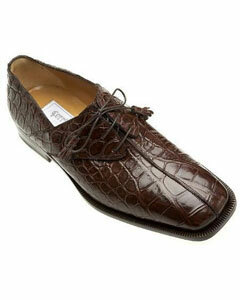 Aside, you can expect these informal shoes to allow convenience of stepping and hence, you appear to be confident. Stores like www.mensusa.com can offer you a ravishing portfolio of belvedere tennis footwear that are fabricate with 100% authentic animal skin of top-seeded grades. Hence, the glow, softness and durability stands assured. You would be getting widespread variations and hence, picking the shoes that features the ideal design, styling and shades of your choice is not going to be a big deal. It is worthy to say that the top stores can get you the best products at the modest of the prices. As the belvedere tennis shoes delights the buyers while they look for the casual footwear, there is the portfolio of the belvedere shoes that serves the formal dressing needs in equal diligence. You require remembering the point that the formal dressing demands flair of sophistication and maturity to prevail over your appearance. Constructed with the best grades of commercial leather, the belvedere shoes impart that desired classy and elegant touch to your appearance and the high qualitative grades ensure that you get the optimal comfort and convenience. Hence, you can say that these shoes takes care of the formal dressing needs in a style that you appear to be comfortable, confident as well as stylish. Putting money on the both the formal and casual belvedere shoes, you can be assured that you are going to get the most delightful dividend on your investment and hence, with passage of time, the portfolio of this footwear is gaining exceptional popularity among the fashionable men. 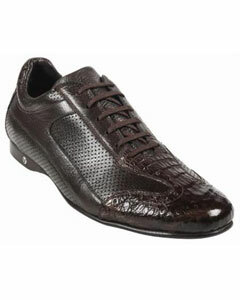 visit www.mensusa.com to get the best collections on belvedere footwear at the most competitive prices.